When people in Shrewsbury, New Jersey, need vehement representation for traffic and criminal charges, they turn to Joseph F. Morgano Attorney at Law. The founder of our law office, Joseph Morgano, has provided defense for driving under the influence charges for more than 20 years. Mr. Morgano has experience handling first, second and third DUI offenses. Our firm works to minimize damages such as fines, license suspension and incarceration. We also advocate for clients with other types of traffic tickets. Beyond DUI defense, our law office is able to assist people facing many types of criminal allegations. Some of the specific charges we take on include drug offenses, shoplifting, assault, disorderly conduct and probation violation. We also represent people seeking expungements. Whether in trial or negotiation, we are relentless in pursuing the best possible result. In addition to criminal charges and traffic violations, our law office counsels clients with other types of legal matters. We are available to assist with real estate closings, collections, tax appeals, personal injury and workers' compensation cases. Whether we are handling a minor speeding ticket or multifaceted litigation matter, our attorney delivers professional and aggressive representation. 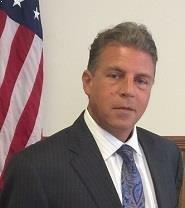 Joseph F. Morgano Attorney at Law offers a free initial consultation to all prospective clients. We take cases across Monmouth County.